Learning language is a two-way street! Put your toddler to bed at the same time every night. Follow the leader encourages imagination and physical development. Create edible art from dough. What’s it for? builds language skills. Toddlers learn by doing things and listening. Your toddler may have stomach aches if mealtime is unpleasant. Child care centers require updated immunizations. Decide if and how much television your child can watch. Drawing around things uses small hand muscles. What’s it like to be 29-30 months old? Cooperative children have loving parents who let them know what is expected. Quality preschools encourage you to observe and ask questions. The less you say “no” to a toddler, the less you’ll hear it back. Change “you” messages to “I” messages. Every time you sing her a song, read her a story, or repeat a nursery rhyme, your toddler learns about language. Your child learns by imitating you and by catching your enthusiasm. In their eagerness to teach little ones about language, some parents forget that language goes two ways. Children must hear people use language, but they also need adults to listen and respond to their words. Let your toddler tell you stories, “read” books to you, describe things she has seen, and answer your questions. Help her make songs up; encourage her to rhyme words or make up new words. Listen carefully – and show your child that what she says is important to you. I am getting better at using my hands to open things. I can hold things steady in my hands, like cups. Now is a good time to start teaching me how to drink from a cup without a lid. I am starting to turn pages of books by myself. I can bend over while standing to pick things up. I am able to start pedaling. It may take me some time to learn. I like to show my friends how much I like them. I don’t get scared when you leave me somewhere familiar. Keeping my routine is important to me. I am getting better at expressing my thoughts. I am starting to tell you how I feel. I can say a lot of words – as many as 1,000! I understand most of what you say to me. I am starting to say my name and maybe my age. I am interested in learning how things work. I am better at doing puzzles with 3 to 5 pieces. I try to figure out how things work in my mind instead of by handling them. I can tell that I am different than kids of the other gender. I am getting better at taking turns. Mealtime is not just a time to eat. It can be a time to talk, share, and enjoy being with others. Family members can tell each other what happened at school, work, or home. Even though your toddler may not talk well, let him take part in sharing. Ask him questions, and let him answer for himself. 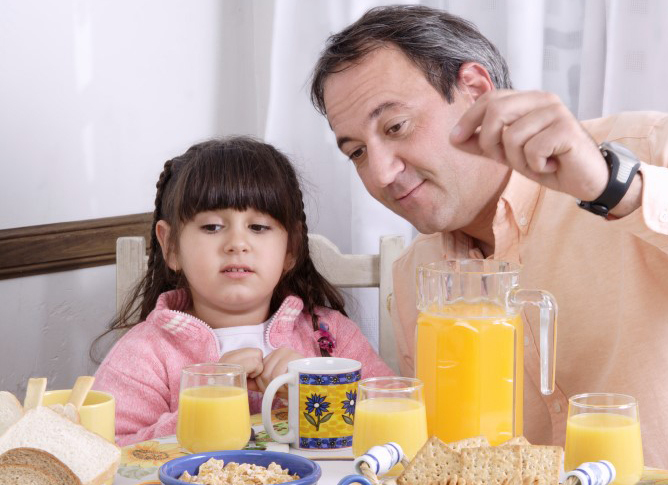 Mealtime is not a good time to discuss family problems about money, misbehavior, and the like. No one feels like eating when there is an argument going on. If this happens often, your child will begin to dread meals. He will eat as quickly as possible and then want to leave the table. He may begin to have stomach aches because mealtime is unpleasant. Talk about problems after the meal is over and everyone has left the table. During meals, think of things to talk about that will help everyone feel good about themselves and others. If you are eating alone with your child, you can talk about the names of the different foods on his plate and the color and shape of each food. You can count how many different foods or pieces of food there are on his plate. With a little imagination and planning, you and your toddler can make every meal a happy meal. Play this game indoors or outdoors. 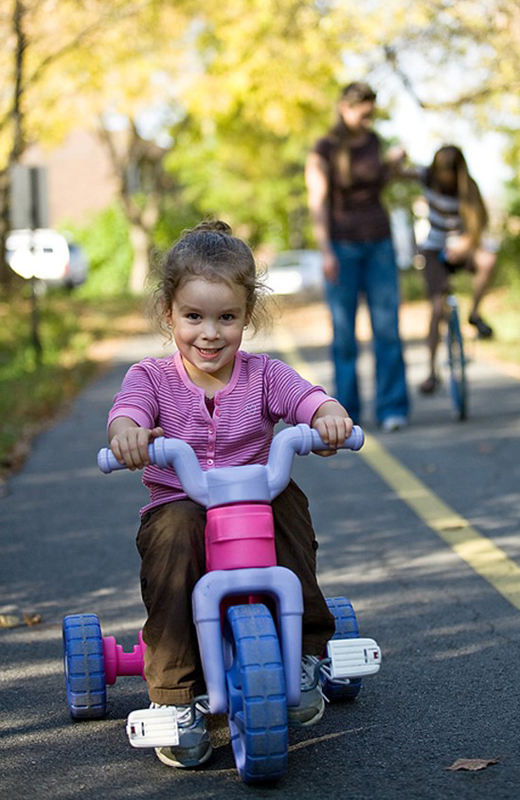 Show your child funny ways you can move and encourage her to imitate, following after you. Run fast, walk slow, gallop like a horse, shuffle like an elephant, flap like a duck. Take turns leading. Use your imagination and encourage her imagination as you both think of different and funny ways to move. Are you invited to observe in the classroom? Spend one or two hours observing, if you can. Are the caregivers willing to answer your questions? Would they talk to you on a regular basis about your child’s progress? Once your child has enrolled, will you be welcome to visit and observe at any time? You and your child’s caregivers need to work together as a team to help your child grow. Do teachers enjoy and respect the children? Is there hugging and holding and warmth between the teachers and the children? 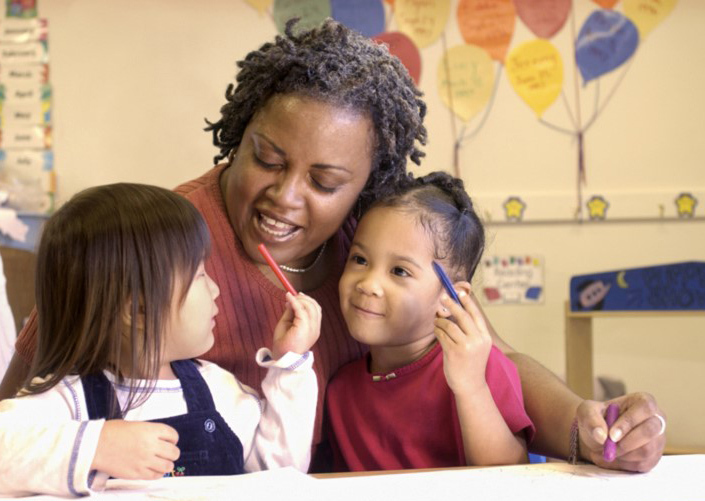 Do teachers talk with and listen to the children? Are there enough adults to pay attention and watch the children carefully? Children’s relationships with caregivers are important. Do the children seem happily involved in activities? Are there enough play materials for all the children? How long would a child have to wait for a turn? 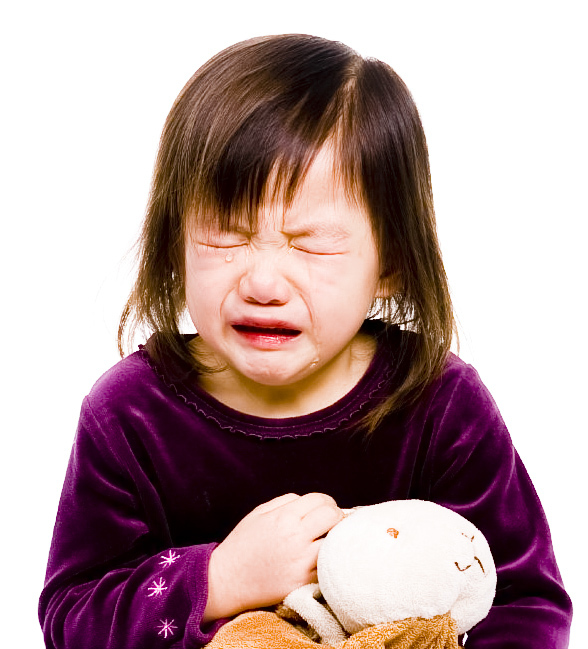 Children can become angry and unhappy if they have to wait too long for a chance to play with toys. Is there a balance of quiet and active play? Is there a balance of indoor and outdoor play? Children need variety. Do children get to choose what they do for at least part of the day? Does indoor play include music, art, water, dress-up, science, block building, books, and puzzles? Does it also include toys, such as trucks, cars, and dolls, to help children use their imagination? Are the rooms clean, safe, and attractive? Is there a safe outdoor area with enough equipment —like ladders, barrels, low slides, riding toys, and swings to encourage activity and muscle development? Is there protection from the sun? Are meals provided by the preschool? Do you approve of the food they serve? You will not be happy about your child’s preschool unless you feel that your child is in a safe, healthy, warm and loving place. The extra time it takes to find the right care for your child will pay off in your own peace of mind and in your child’s development. Television can have a very powerful effect on children. It can entertain and educate or it can frighten children or cause them to fight with others. It can also take children away from other important activities. Make it “hard” to turn on the TV and easy and fun to move and be active. Limit screen time for everyone in the family to less than 2 hours a day. Avoid screen time for children under 2 years old. No TVs or computers in bedrooms. Limit children’s contact with advertising. They will want what is advertised, whether it is good for them or not. Watch television with your child and discuss what you are seeing. Ask yourself if you want your child to see violence on television. Violent situations are shown in news shows, cartoons and music videos, and they can be scary. Children who watch violence may become more violent. Is television keeping you from reading, talking, and playing with your child? Does it keep him from being creative, and active, or using his imagination? Collect about 10 things that your child uses or has seen, such as a shoelace, a fork, a napkin,a comb, a key, eyeglasses, a hammer, a paint brush, a pencil. Pick up one after the other and ask your child what it is used for. Give your child a turn to ask you what things are used for. You can play a silly version of this game by asking a silly question about each thing you pick up. For example, you can pick up a cup and ask if that is what you brush your teeth with. Remember, play the game only as long as it is fun for both of you. The way people talk to each other can sometimes cause angry feelings and stress. You can reduce your stress by changing the way you say things. It doesn’t mean you should hold things inside, but simply that you should say them in a different way. You might say, “You’re always telling me how to care for my child!” If you give the same message with “I” in it, the other person might not get so irritated. You could say, “l feel upset —like I’m not a good parent — when you tell me how to take care of my child.” Try turning “you” messages into “I” messages. Give your child a sprinkler can or a squeeze bottle to water outdoor plants. Think of other ways he could help outside. Give him his own flashlight. He’ll enjoy turning it on, because he can push the switch forward with his thumb. He probably can’t pull it back. Show him how to turn the flashlight around, so he can push the switch off. Take pictures of special times. Even if you don’t have a baby book for your child, he will like looking at these pictures now and when he’s older. Turn off the radio and television. Listen with your child to sounds around the house —like running water, the refrigerator motor, a ticking clock, or a wind chime. Tell him what they are. Helping him learn to listen will help him learn language. It is normal for toddlers to have ups and downs in their sleeping patterns. Some weeks toddlers will fall asleep easily and sleep through the night. Other weeks, toddlers may resist falling asleep, or will wake several times in the night. Toddlers can have sleep troubles when they are growing quickly. Changes in their life —new brothers or sisters, a new house, or new child care —can also disrupt their sleeping patterns. Even though your child is not always sleepy, putting him to bed at the same time each night is a good idea. Parents need time to get things done and to relax after their children are in bed. Avoid conflicts close to bedtime. Have a bedtime routine. Do the same thing each night with your toddler to get him ready for bed: tooth brushing, toileting, pajamas, and reading books. 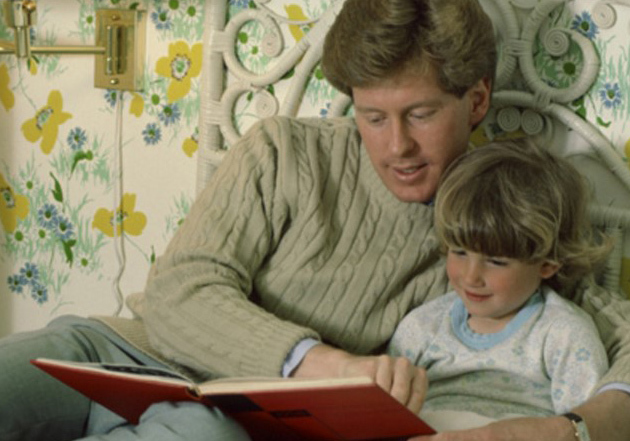 Read, tell stories, or sit quietly together each night right before laying your toddler down to sleep. If your toddler does not fall asleep right away, let him look at a book or play quietly in bed until he gets sleepy. Help your toddler be comfortable sleeping in one bed each night. You may use a “family bed” or your toddler may have his own bed. Whatever sleeping arrangements you use with your family, try to keep your toddler’s bed the same each night. Remind him that the bed should be used for the whole night, until it is time to get up in the morning. If he wakes up in the middle of the night, sit by his bed until he is feeling sleepy again. If your toddler has his own bed, resist having him come into bed with you when he is upset. Remind him that he has his own bed. Sometimes parents let children share their bed when the child is feeling sick or scared. Try to get your toddler back to his sleeping routine soon after the situation has passed. Be consistent and loving. When your child calls for you in the middle of the night, he is letting you know he needs you to comfort him. Carry or walk him back to his bed and help him feel safe while he falls back to sleep. communicate clearly what behavior is expected of the child. This is more effective than parenting that is too bossy or too weak. If you are enrolling your child in a childcare center, her immunizations must be up-to-date. You will need an immunization record that lists the dates of each immunization your child received. 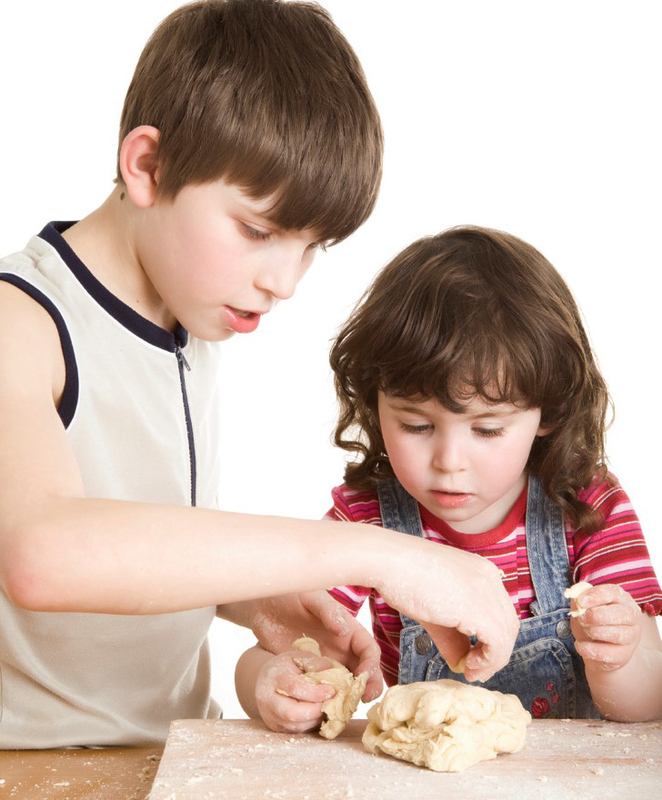 Have your child wash his hands and then help measure the flour and salt into a large bowl. Talk about how much of each ingredient you need. Show him how you are measuring the oil and have him help rub it in until the mixture resembles coarse oatmeal. Add the water and blend it with your fingers. Add more water if necessary to make dough you can gather into a ball. Knead the dough for 10 minutes. Your toddler will enjoy punching and rolling the dough. Divide the dough into small balls and let your child create. Show her how to flatten it, pinch up peaks, stretch the dough and cut holes with a table knife. Help her with this so she doesn’t cut herself. When she’s all done, you can place her creations on a cookie sheet, and bake them in a 350°F oven for 10 minutes. When they’re cool, enjoy showing off the creations and eating them! Make it as easy as possible to do the right thing. Remove tempting dangers and breakables. Reduce time spent in activities that require your toddler’s patience or that might cause conflict. For example, long shopping trips are hard on nearly all parents and their toddlers; try to cut them short. Keep rules reasonable. Your child is growing fast, but her ability to understand is limited. 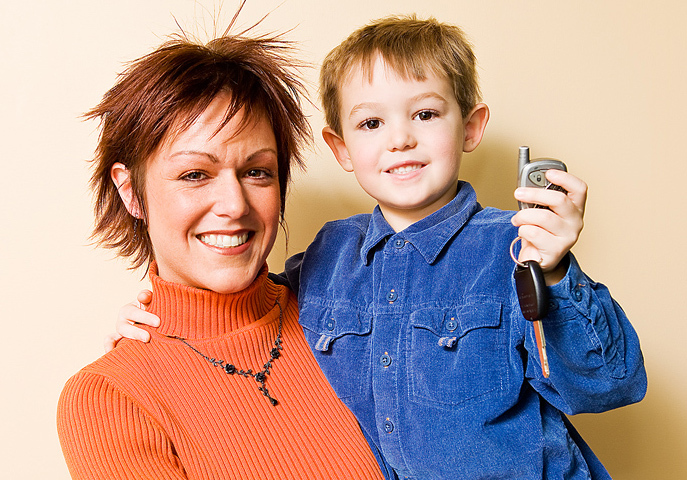 She will press you to let her do things on her own — and that’s important for her learning — but she may still have accidents. She may break, drop, or spill things. She can understand some rules, but not all. Play detective. If your little one does something over and over that you have told her not to do, try to figure out the reason. Don’t assume that she is just trying to annoy you. Chances are she’s got her own very good reasons for doing what she’s doing. See if you can help her get what she wants in a way that is OK with both of you. Sit in a comfortable place and give your child a plastic cup to draw around. Have her trace the edge of the cup with her finger. Then give her a pencil or crayon to use for drawing around the cup. Talk about the circle she drew. Can she see other circles in the room?